In 1939, the British knew that German air raids could occur any day. To raise public morale, the government printed posters with a simple slogan: Keep Calm and Carry On. We at Bed Bug Supply would like to raise the morale of anyone suffering from bed bugs. 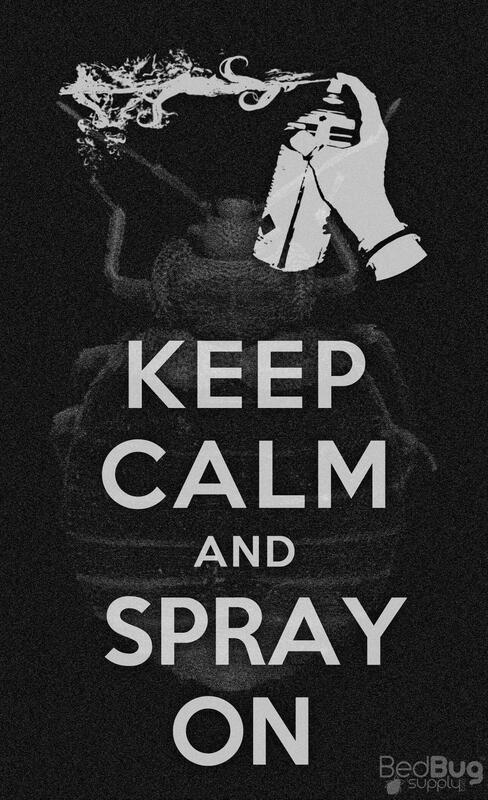 If you believe that you have an infestation, or know someone who does, we urge you to Keep Calm and Spray On. We know it’s stressful — bed bugs can cause headaches, anxiety, and even insomnia. But we also know you can beat them, as long as you use the right products and follow the instructions that come with them. Would you like to see this in a printed poster? A T-shirt? A coffee mug? Shoot us a comment with your suggestions.